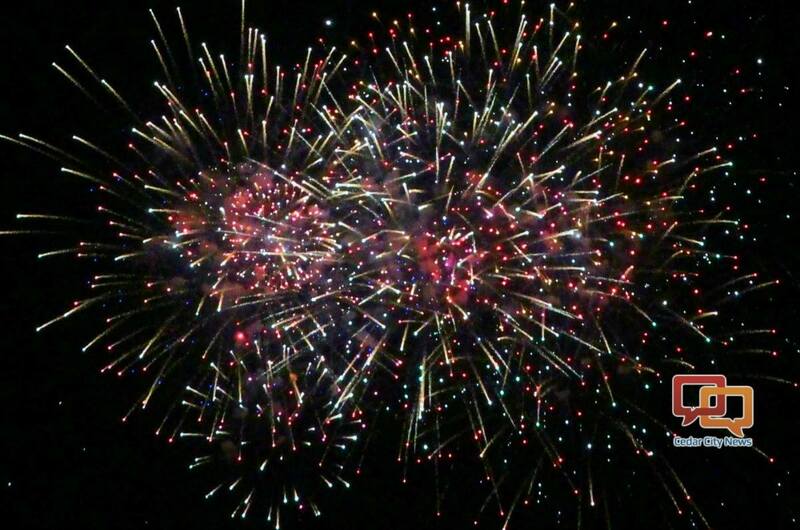 ST. GEORGE – The Utah House passed a bill Wednesday that will reduce by nearly half the number of the days fireworks can be used during the summer. House Bill 38, “Fireworks Restrictions,” cuts the current three days before and after July 4 and 24 that fireworks can be shot off to two days before and one day after, reducing two weeks of fireworks to eight days. “We are decreasing by 40 percent the number of days fireworks are allowed to be discharged,” said Rep. James Dunnigan, R-Taylorsville, the bill’s sponsor. The use of fireworks surrounding New Year’s Eve and the Chinese New Year is not affected by the legislation. Aerial fireworks also remain legal under the bill. Dunnigan called the bill a compromise between various stakeholders, including law enforcement and firefighting officials, county and municipal officials, fireworks producers and retailers and the public. While the bill does not allow municipalities to ban fireworks during holidays, it does give them much more latitude in determining where fireworks can be discharged. Cities are currently able to restrict fireworks use where urban and wildland areas intersect, with Dunnigan’s bill adding to the list of potentially restricted lcoations. Areas known to be historically “hazardous” in relation to fireworks use and are not currently covered under the law are among those spots cities can count as fireworks-prohibited zones. Dunnigan’s legislation also added areas covered in dry grass, ravines, trails, canyons, waterways and similar areas to be added to a city’s list of prohibited zone. The buffer zone around these areas would be 200 feet on either side. To help the public better understand where the fireworks can be used within their cities, fireworks vendors will be required to post maps of the city with the restrictions zones at their booths. The bill also raises the fine for fireworks use in restricted areas from $750 to $1,000, yet the charge itself remains an infraction. Rep. Marie Poulson, D-Salt Lake City, proposed an amendment to the bill that would allow cities to ban fireworks use. However, the motion to add the amendment failed. Dunnigan said the amendment would undo the compromise the bill represents and that all cities should play by the same rules. According to state fire officials, there were 1,100 wildfires across Utah during July 2017, with 180 of those – 16 percent – caused by fireworks. The Utah House passed the bill in a 63-3 vote. Southern Utah Reps. Walt Brooks, Brad Last, Lowry Snow, Jon Stanard, John Westwood, Mike Noel and Merrill Nelson each voted in favor of the bill. The bill now goes to the Utah Senate. This is fantastic! As much as I appreciate fireworks it’s a nightmare when you have young kids and are trying to get them to sleep. They should also designate areas for fireworks. A compromise bill. Sad. I would vote for July 4 and 24 only. Those are the holidays. Before and after make no sense to me. Just saying. Yes, July 4th and 24th, nothing else necessary, not even the 24th! It’s plain stupid to be doing that in scorching, HOT , dry weather. It’s BS. Fireworks ? They are wasting out time our money on discussing Fireworks? Oh My! I was so worried this wouldn’t pass!!!! Such a Very Important Change! Some may get voted out because of this!🙄🙄🙄. You’re a creepy commenter and should probably calm down. Who is it that owns all the fireworks stands? Follow the money and you’ll see why the stupid things aren’t totally banned.